Caitlin is a warm, caring and passionate osteopath who is committed to finding the best treatment for her patients. 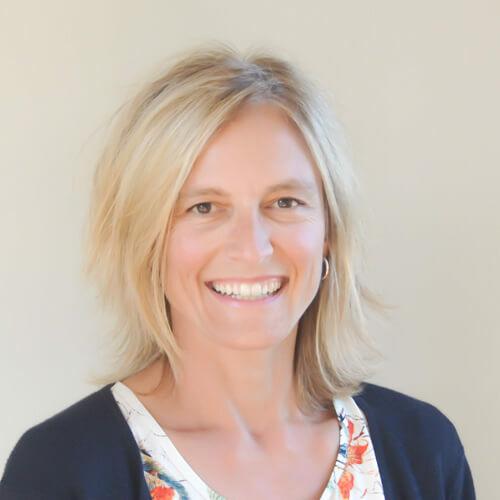 Caitlin graduated as an osteopath from Victoria University in 1999 with a Master’s Degree in Health Sciences (Osteopathy). Following her university studies, Caitlin moved to the Surf Coast where she has since worked in private practice. This training complements her osteopathic skills and Caitlin is known within the Geelong community as a very experienced practitioner. Integrating these skills with her many years of experience in osteopathy enables Caitlin to deliver a professional and thorough service to her patients to help them achieve better health and wellness. Caitlin enjoys working with a wide range of people, from the newborn, infants, children, adolescents, to adults and seniors, and is grateful for the opportunity to assist people in achieving health, happiness and well-being in her local community. Treating pregnant women, infants, children and adolescents is an area of particular interest for Caitlin. Master’s Degree in Health Sciences (Osteopathy), Bachelor of Science (Clinical Science).